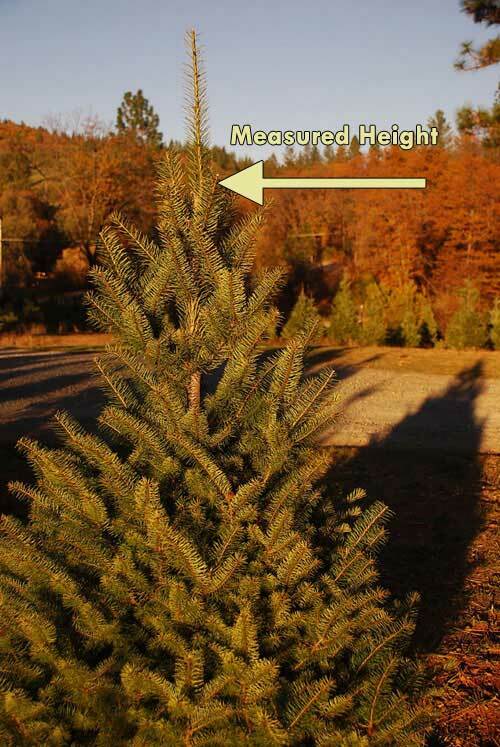 Trees are measured from the ground to the top of the tree, not including the growth tip on the top of the tree. We only sell complete trees. We do not sell tops of trees without their bottoms.